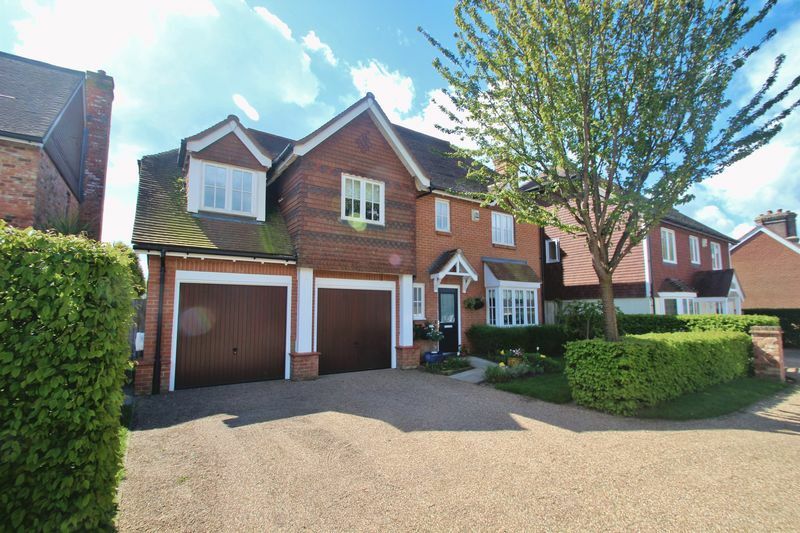 The property forms one of just a few houses to be built in this select cul-de-sac. 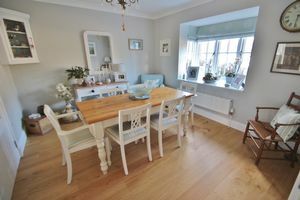 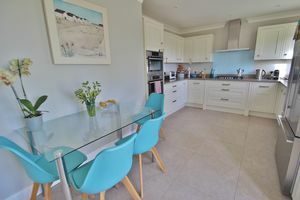 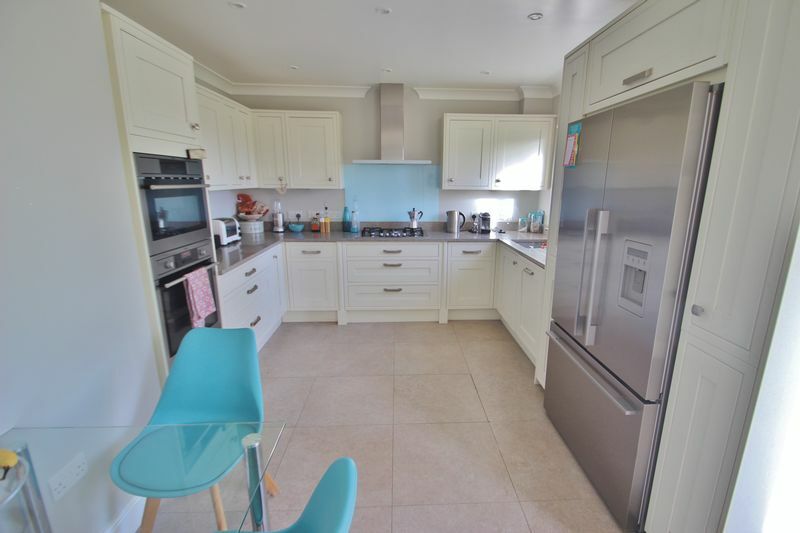 The property dates back to 2001 but has been upgraded significantly by the current owners, to include new bathroom and en-suite, new kitchen, new décor, flooring and garden landscaping. 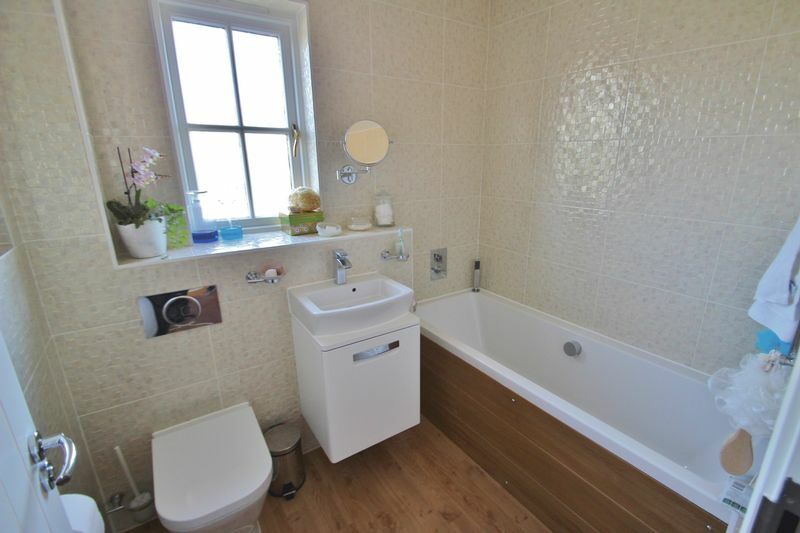 The front door leads into a surprisingly bright entrance hall, with wooden flooring and door to the cloakroom, comprising WC and basin with a small window to front. 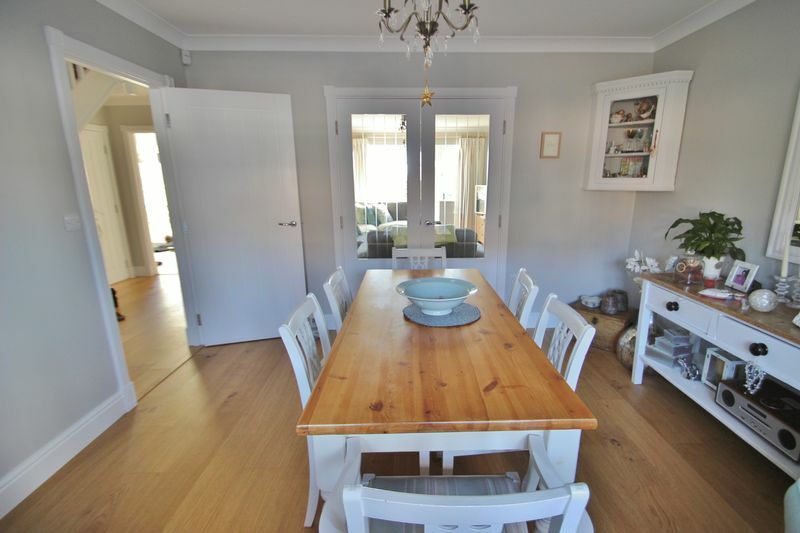 Stairs lead from the hall to the first floor, with a large storage cupboard housing the WIFI The kitchen is a lovely bright room, running across the back of the house, with a range of cream cupboards and drawers, with grey Quartz worktops, etched drainer, inset one and half bowl sink, space for a large Amercian style fridge/freezer, fan oven and grill, plus combi-microwave above, five ring gas hob with extractor above and dishwasher. 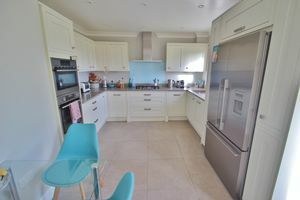 The kitchen has tiled flooring, and window and glazed French doors to the rear garden and the views beyond. 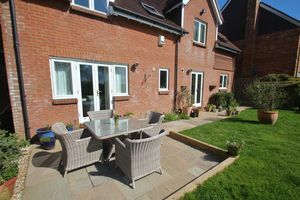 Also enjoying the views and direct access to the rear garden is the large sitting room, with French windows to the garden and double doors through into the dining room. 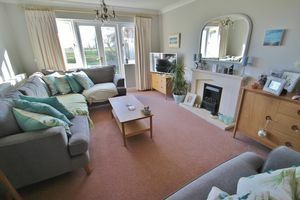 There is also a gas fireplace with a Limestone surround, hearth and mantle. 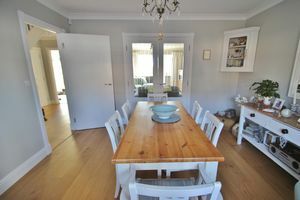 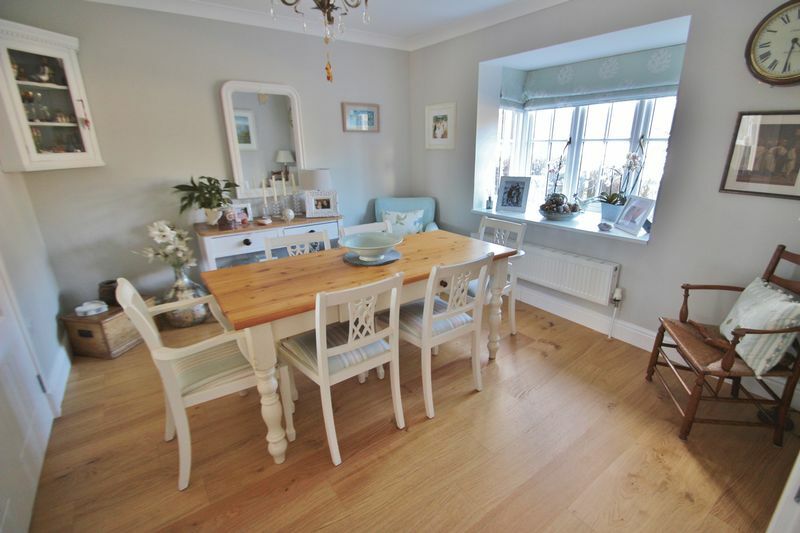 The dining room has the wooden flooring and a deep-sill bay window to front and a door to the hallway. 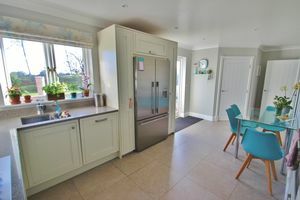 Off the kitchen is a utility room, with window to rear and matching flooring, with space for further appliances, boiler and sink. 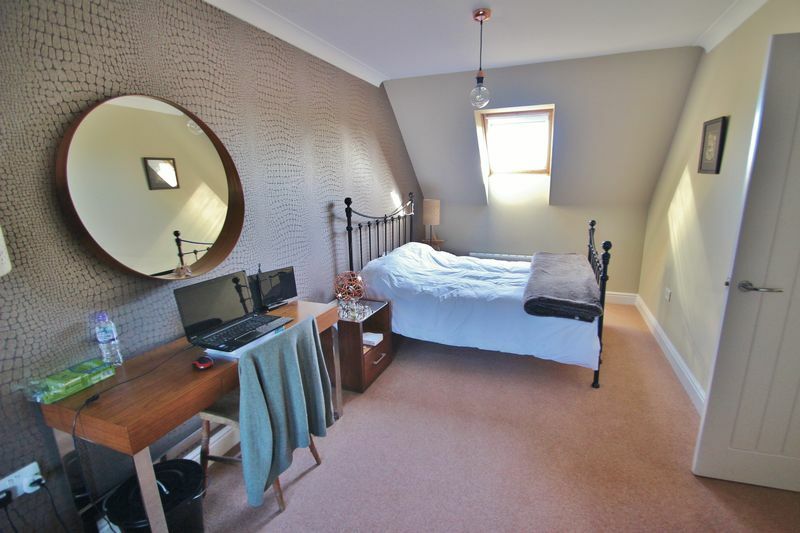 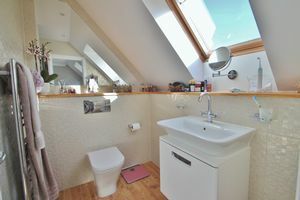 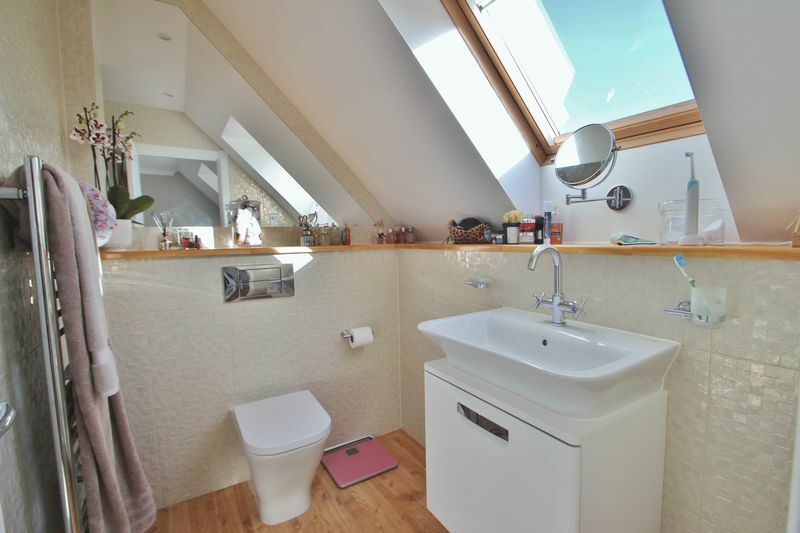 Upstairs, there is an open landing, with airing cupboard and access to the loft space. 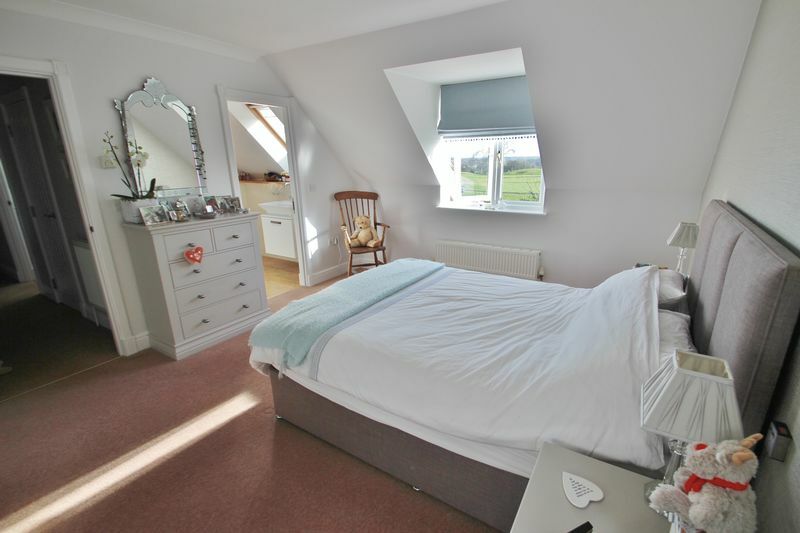 The master bedroom has superb views across Dale Hill golf club behind the house, plus fitted wardrobes, further window to side and door to an en-suite shower room, which has been beautifully modernised with a tile enclosed shower, basin atop a vanity unit, WC with concealed cistern, fitted mirrors, heated towel rail, part tiled walls, wooden flooring and a Velux window to rear. The family bathroom has also received a significant upgrade, with bath and shower, basin and vanity unit, WC with concealed cistern, heated towel rail, part tiled walls, wooden flooring and window to front. 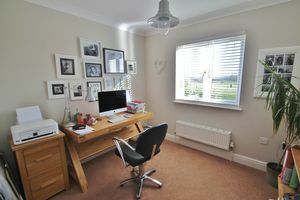 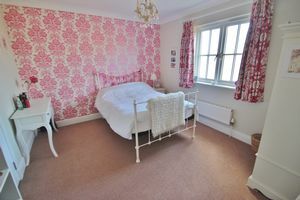 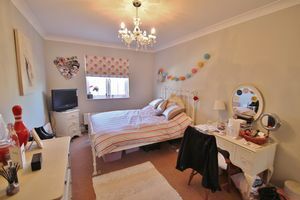 There is a very large second bedroom with windows to front and rear, fitted wardrobes and the views to rear. 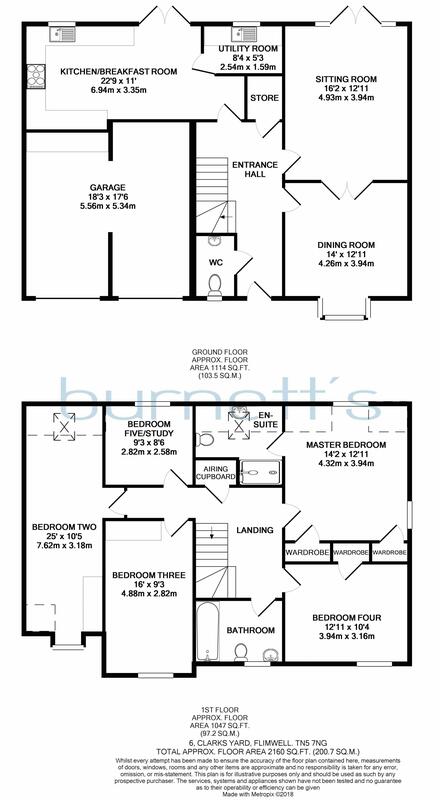 The second and third bedrooms both have front facing windows and fitted wardrobes, whilst the fifth bedroom faces the rear and the views. 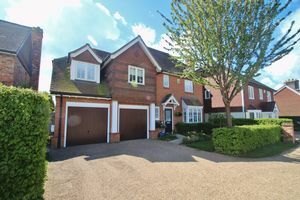 Outside, to the front is a private driveway with parking for two cars, with access to the double garage, which has two up and over doors. There is a path to the front door, hedged front garden with cherry tree, lawn and flower bed. 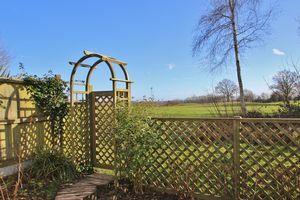 A path and gate lead to the side of the house and the rear garden. 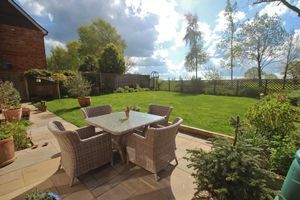 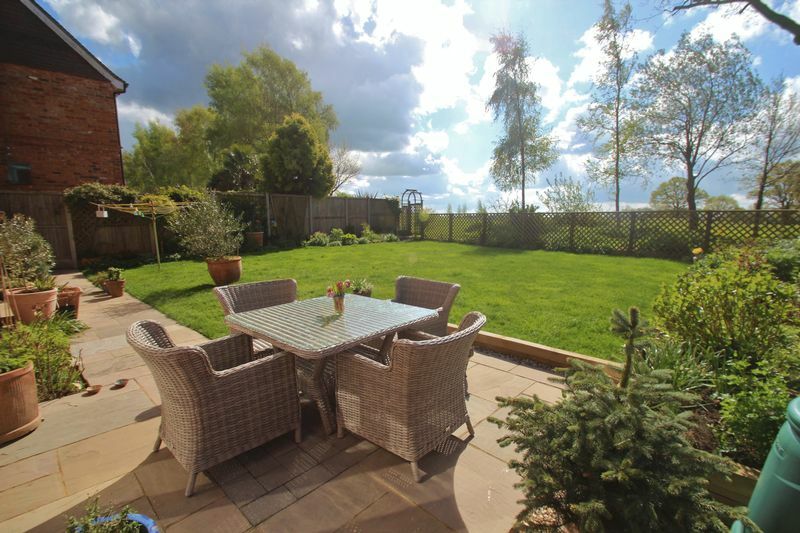 The rear garden is south facing, with the fabulous views, level and beautifully landscaped, with paved seating area and pathways, flower bed borders and hedge and fence boundaries with a gate to the golf course. There is also a garden shed to the side of the house. 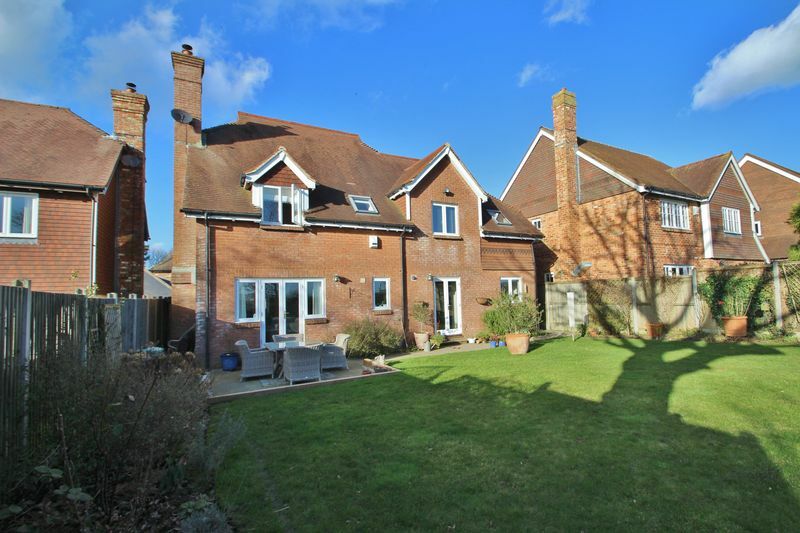 The property is located in a small select cul-de-sac within the hamlet of Flimwell. The A21 a short distance away gives easy access to the M25/M20 motorways and the coast at Hastings. The nearest train stations are at Etchingham, Stonegate and Wadhurst, all with services to London and all within five miles. 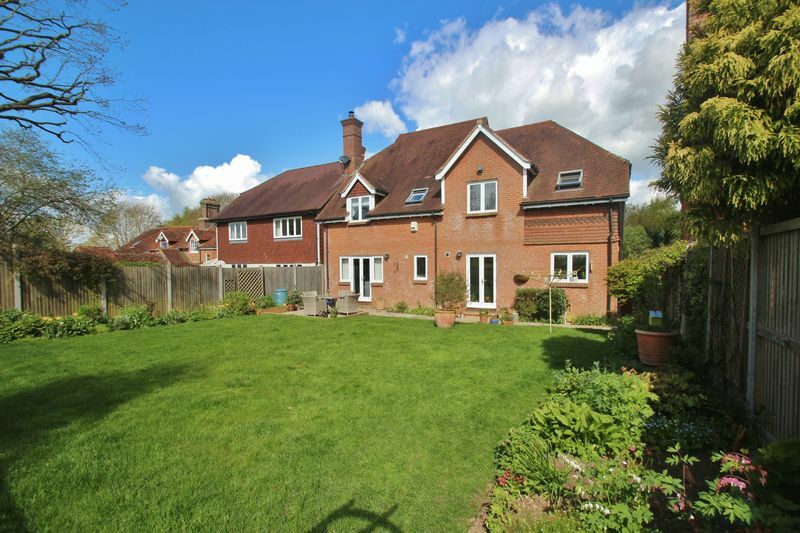 Flimwell is located between the village of Ticehurst and the small town of Hawkhurst. Both have an array of shopping facilities and amenities, including a private cinema, supermarket, gastro-pubs, cafes, schools for all ages, including include Primary schools in Ticehurst, Stonegate and Etchingham plus Bricklehurst Manor in Stonegate and Ronan's School in Hawhurst, and Uplands Community College in Wadhurst, and churches for most denominations. 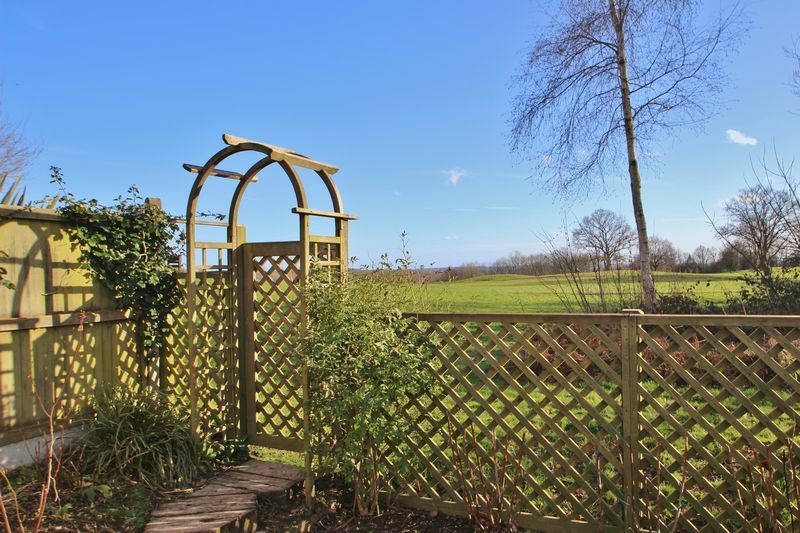 Filmwell is surrounded by wonderful countryside with many footpaths nearby including ones that head to Bewl Water, which offers inland water sports, fishing as well as great cycling, walking and riding. 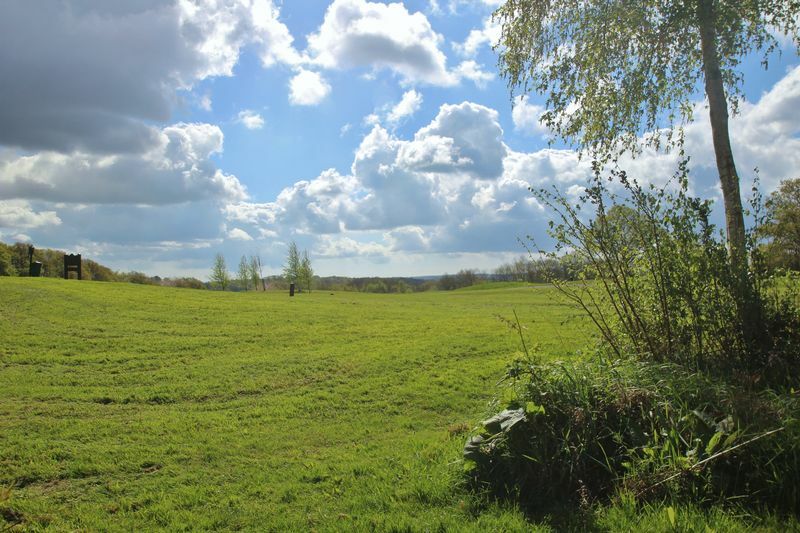 Bedgebury Forest is within easy driving distance, great for walking, cycling and riding and there also an adventure playground and the renowned 'Go Ape' tree top challenge. 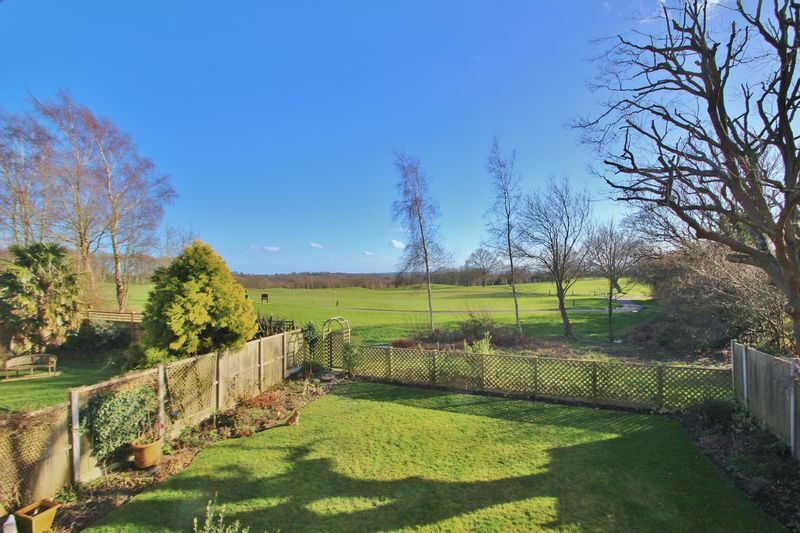 Local golf courses can be found at Dale Hill and Lamberhurst. 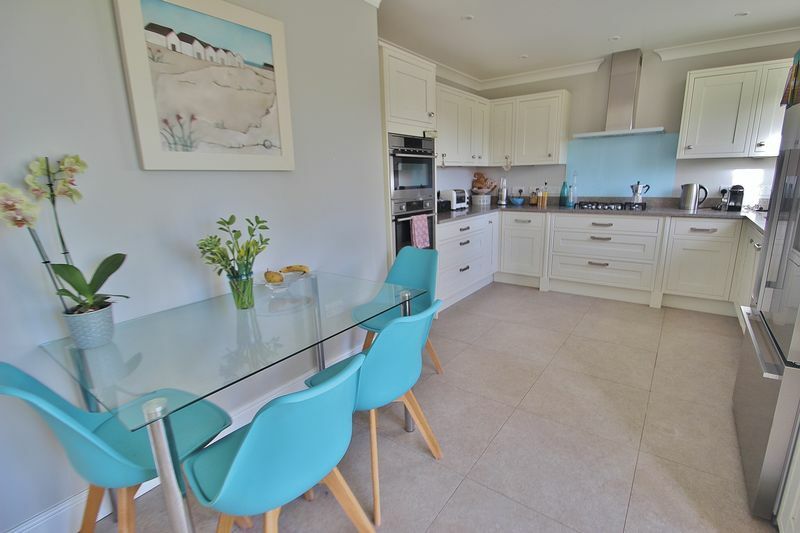 The historic towns of Battle, Rye and Camber Sands are all within a 45 minute drive.